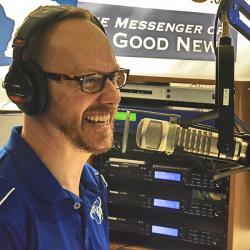 Host Andy Bates, DCE, discusses the proposed revisions to the explanation of Luther’s Small Catechism with guests Rev. Dr. Joel Lehenbauer, Rev. Larry Vogel, Rev. Dr. Chuck Arand, and Rev. John Pless. Find the proposed revisions at lcms.org/catechismexplanationupdate. Rev. Dr. Joel Lehenbauer is Executive Director of the LCMS Commission on Theology and Church Relations. Rev. Larry Vogel is Associate Director of the LCMS Commission on Theology and Church Relations. Rev. Dr. Chuck Arand is Professor of Systematic Theology at Concordia Seminary, Saint Louis. Rev. John Pless is Assistant Professor of Pastoral Ministry and Missions and Director of Field Education at Concordia Theological Seminary, Ft. Wayne. Concord Matters is hosted by Rev. Charlie Henrickson and Rev. Joshua Scheer. Thy Strong Word - Exodus 38: "Making the Altar of Burnt Offering"